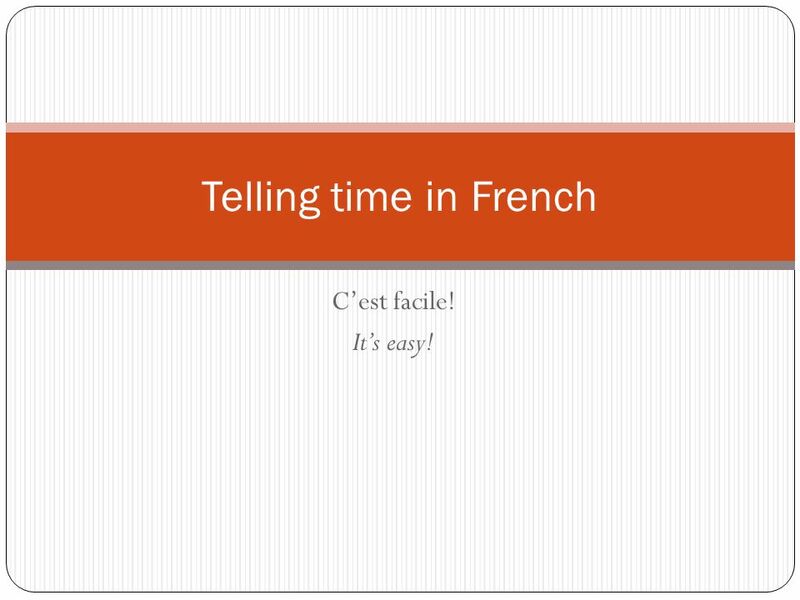 2 Telling time in French C’est facile! It’s easy! 3 Quelle heure est-il? 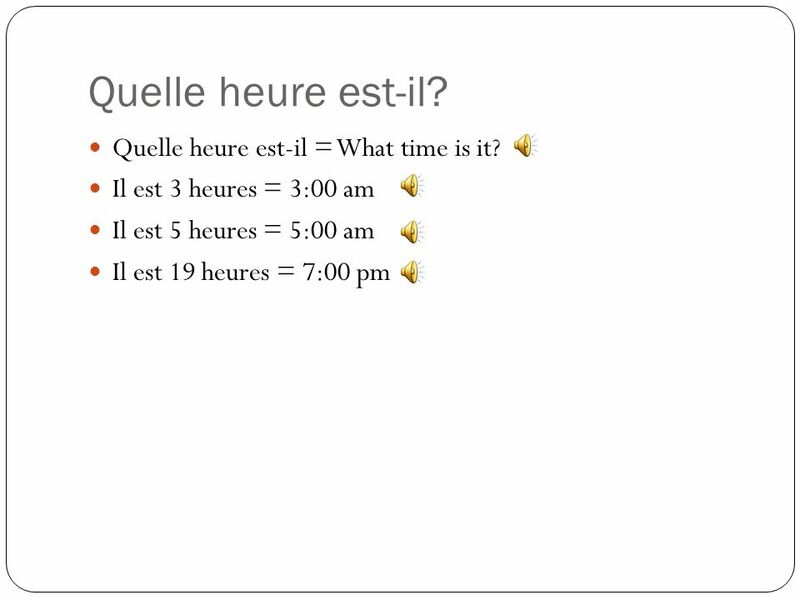 Quelle heure est-il = What time is it? 4 OMG WHY DID YOU SAY 19? 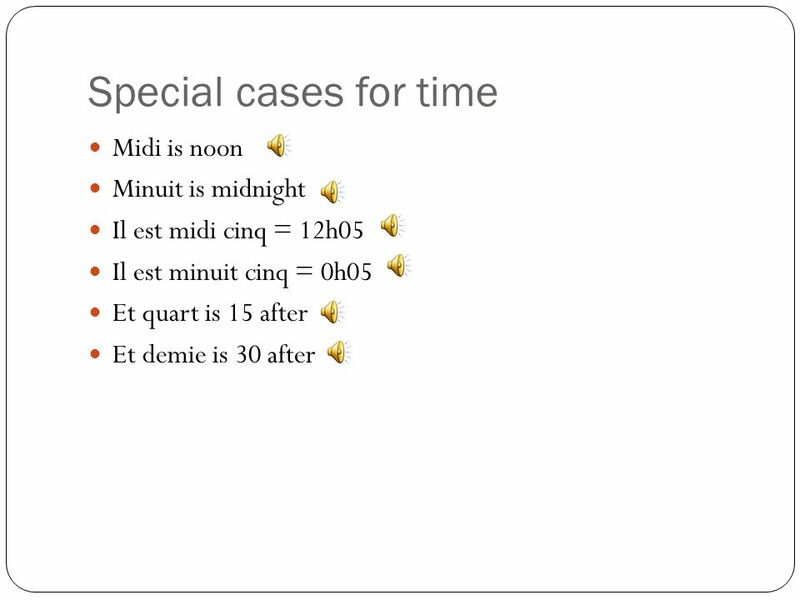 The French use the 24 hour clock. Just don’t stop at twelve at noon. 1pm = 13h00 2pm = 14h00 3pm = 15h00 4pm = 16h00 5pm = 17h00 6pm = 18h00 It’s easy, just add 12! 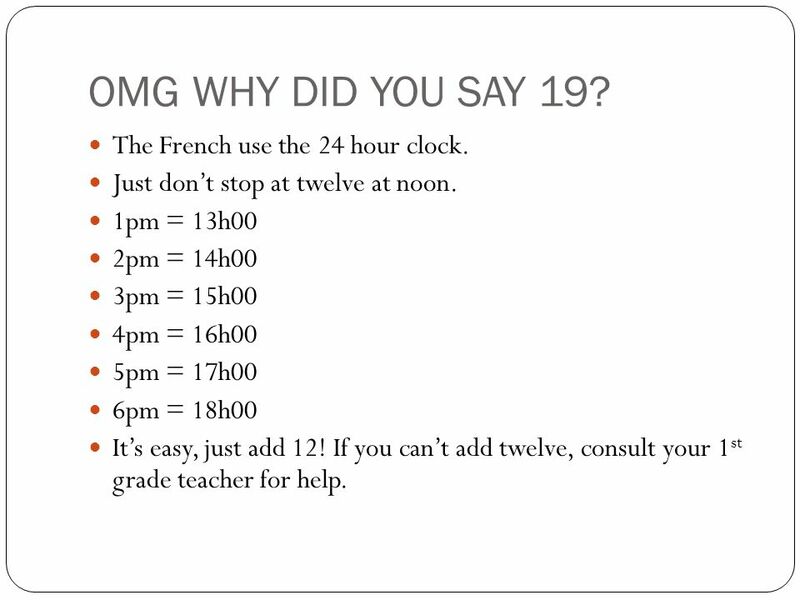 If you can’t add twelve, consult your 1st grade teacher for help. 5 What if the time isn’t exact? Facile! – Add it after you say “heures.” 13h05 = Il est treize heures cinq. 05h20 = il est cinq heures vingt. 06h25 = il est six heures vingt-cinq. 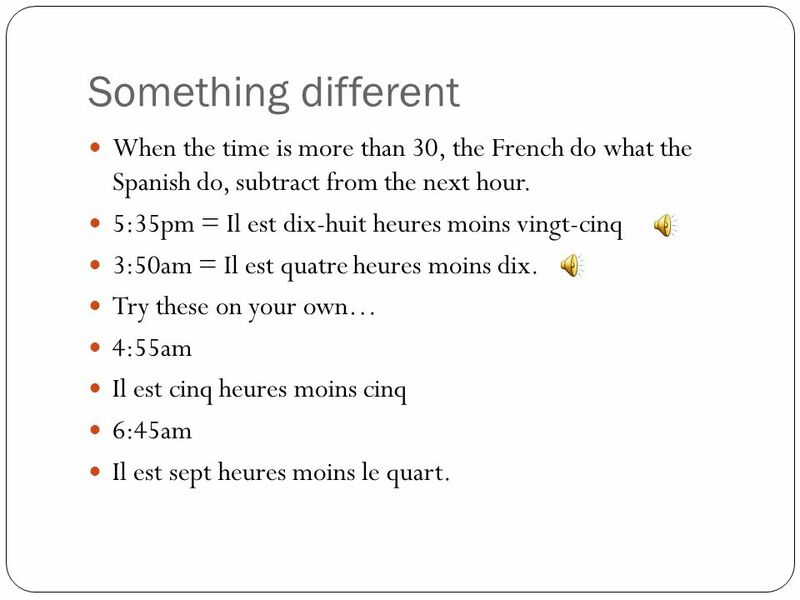 7 Something different When the time is more than 30, the French do what the Spanish do, subtract from the next hour. 5:35pm = Il est dix-huit heures moins vingt-cinq 3:50am = Il est quatre heures moins dix. 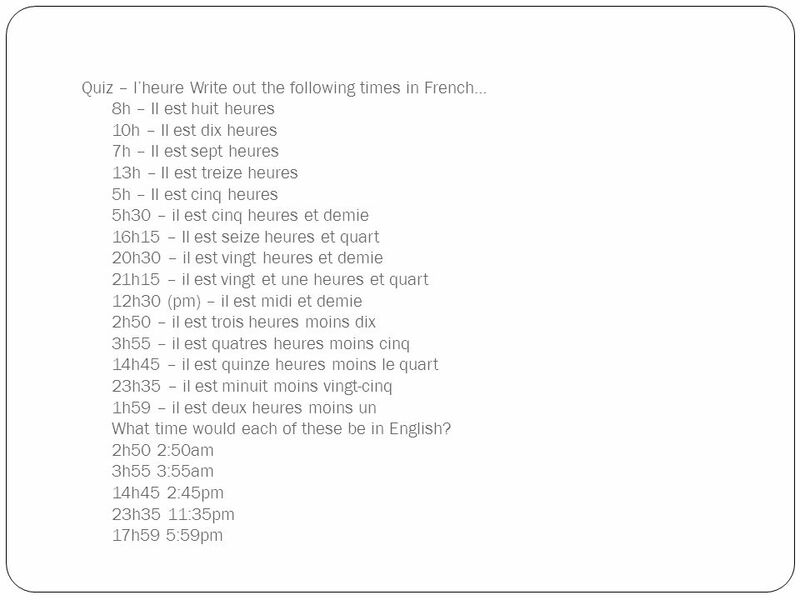 Try these on your own… 4:55am Il est cinq heures moins cinq 6:45am Il est sept heures moins le quart. 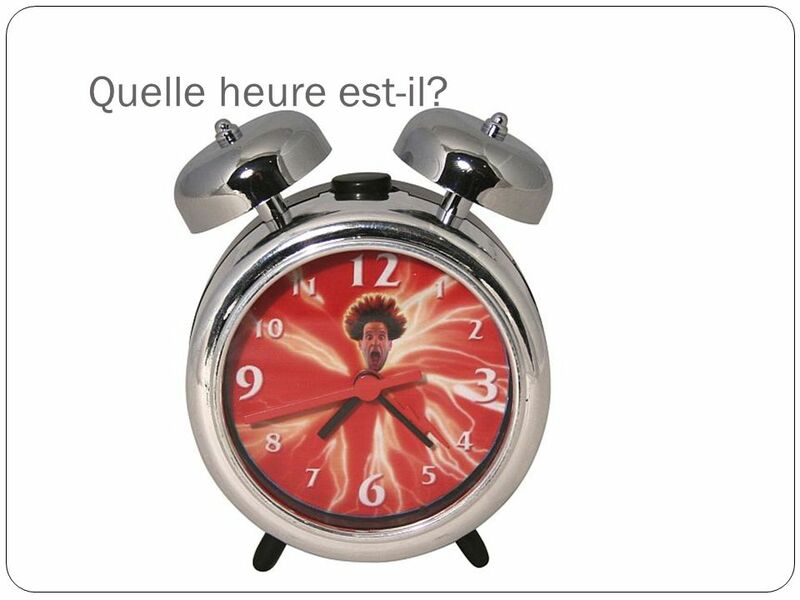 Télécharger ppt "Quelle heure est-il?." Vous avez l’heure? French 1441 Chapître 4 leçon 2. 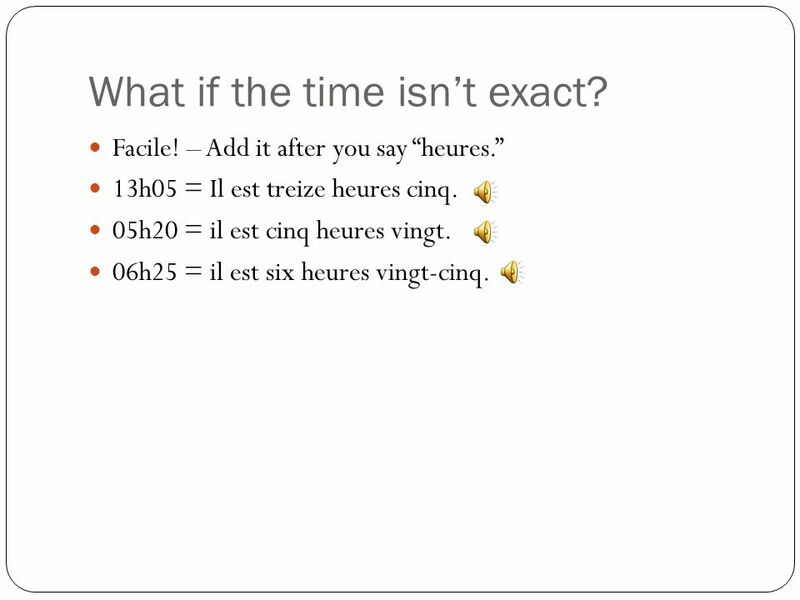 L’Heure Telling time in French is just a matter of knowing the French numbers and a few formulas and rules. The French word for "time," as in "what time. Quelle heure est-il? What time is it?.